Andrew S Gibson is a Writer and Fine Art Photographer and the creator of some of the most beautiful and thoughfully written photography eBooks you’ll find. In this SnapnDeal we’re excited to offer you five of his best for less than $20. At $4 a book, this 5 eBook bundle is one Super SnapnDeal! 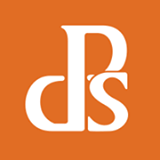 Each eBook is available for immediate download as a PDF file optimised for viewing on your computer screen or an iPad. 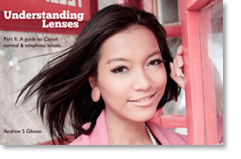 Understanding Lenses: Part II continues where Part Ileft off. It shows you how to get the best out of your normal and telephoto lenses with subjects such as people, landscape, travel and close-up work. You also get the Everything EOS Ef and Ef-S Lens Guide, listing every Canon Ef and Ef-S ever made, including discontinued models, along with their specification. This eBook explores the creative and practical aspects of some of Canon’s most exciting lenses. Lenses are the ‘eyes’ of your camera. Once you understand how lenses ‘see’ you can harness their creative potential to create eye-catching and dramatic images. 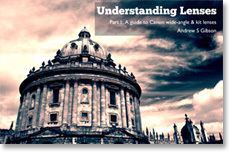 Understand Lenses: Part I teaches you how to get the best out of your kit and wide-angle lenses to photograph subjects such as people, architecture and the landscape. Part technical and buyers guide, it also explores the technologies behind Canon’s lens range, and tells you everything you need to know about buying new lenses – including why you don’t have to spend a fortune on a new lens to get good image quality. Have you ever wondered why it’s so easy to under- or overexpose your photos even with the latest EOS camera and most advanced evaluative metering modes? Or why your camera has so many exposure modes, and what each one does? 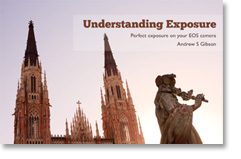 Understanding Exposure explains the principles of exposure so that you understand why your camera doesn’t always get the exposure right and when you, the photographer, has to step in and override the camera’s settings. Your digital EOS camera has many advanced tools to help you get exposure spot on. This eBook shows you how to use them and gives you practical steps to take to cope with any lighting situation. Have you ever tried using Canon’s Digital Photo Professional software but been discouraged by the lack of a good guide or an understanding of what the program can do? DPP is actually quite easy to use and has a lot of creative potential, once someone shows you how. Understanding DPP does exactly that. 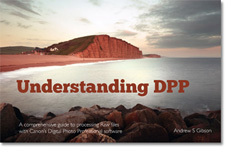 DPP is much simpler to use than more advanced software like Adobe Lightroom. It’s ideal for photographers who are new to Raw processing or would just like to use a program that is designed specifically to work with their camera. 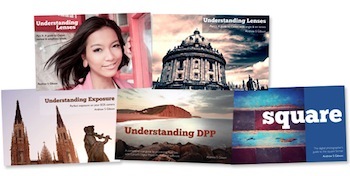 Understanding DPP is written for photographers who want to use the functions within DPP (such as white balance, Picture Style and contrast control) to make beautiful images. It shows you how to use DPP to bring the best out of your Raw files, but also why you should you use it and how it can help you become a more creative photographer. Digital cameras have made the square format available to anybody who doesn’t mind cropping their images in post-processing. But using the square format isn’t just a matter of cropping – there’s more to it than that. The dynamic of the image changes completely and new principles of composition apply. 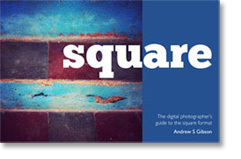 Square shows you how to use the square format on your camera, and how to make the most out of what Andrew believes to be the fine art photographer’s format. It’s illustrated throughout by Andrews photos, and he’s also interviewed the two film photographers, Matt Toynbee and Flavia Schaller, to explore their perspective on the square format. Andrew’s interest in photography began when his parents bought him a Ricoh KR-10m camera over 20 years ago. Since then he’s taken photos in over 60 countries, studied for a degree in photography and worked as Technical Editor for EOS magazine. Now a freelance writer he makes a living writing about photography.